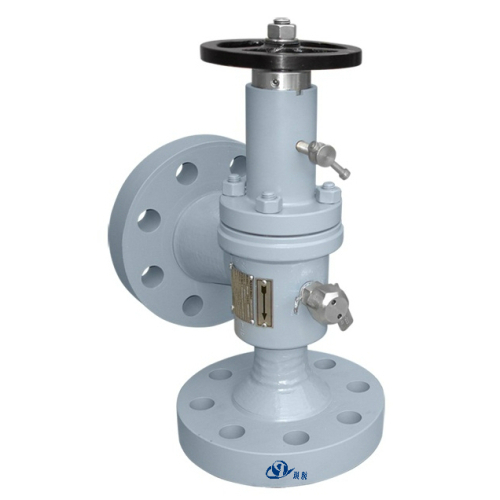 Positive Choke Valve, also referred to as Fixed Choke Valve or Non-Regulating Choke Valve, is a device used to control the flow of fluids by directing flow through a restriction or hole of a fixed size. 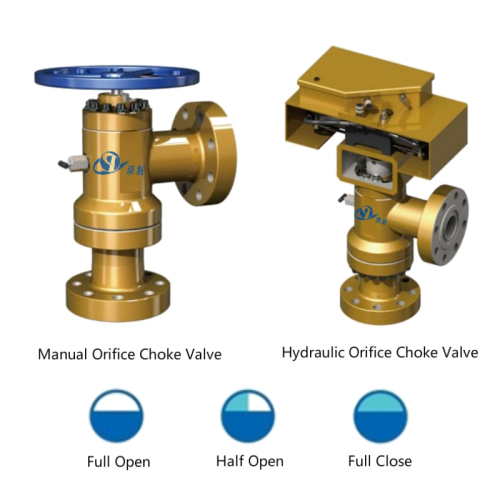 The fluid characteristics and the pressure differential across the choke determine the flow rate through a fixed choke. 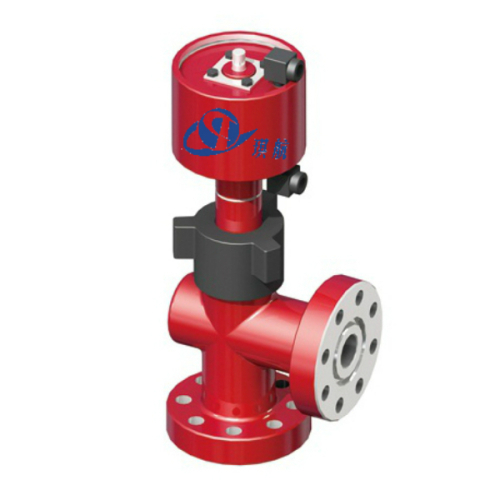 Positive choke valves are usually mounted on or close to the Christmas Tree or Choke Manifold. 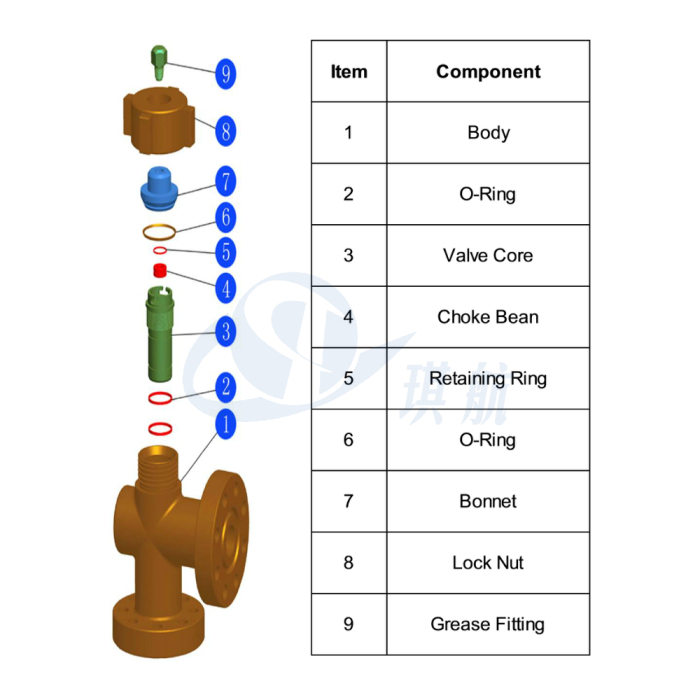 A bean choke contains a replaceable insert/choke bean, which is made from hardened steel or durable ceramics. 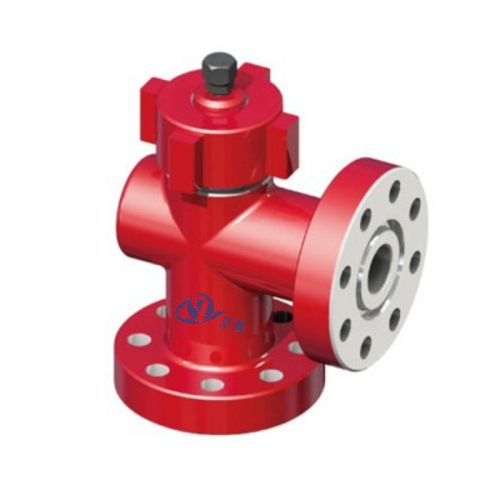 The choke bean is manufactured with a precise diameter hole that forms the choke through which all fluids must pass. 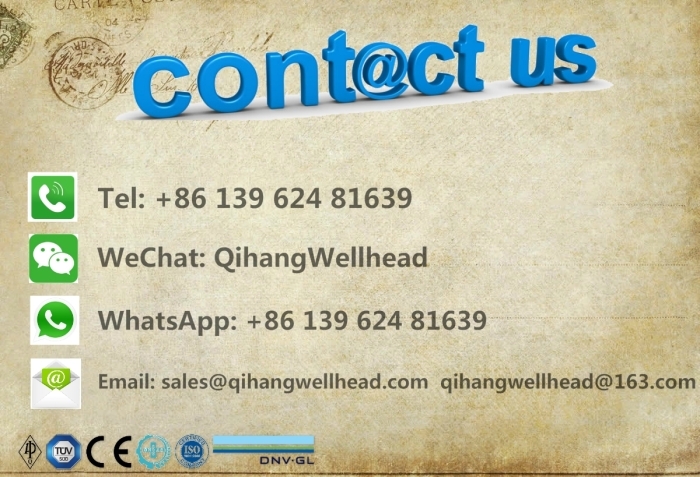 Choke beans are available in a complete range of sizes at Qihang. 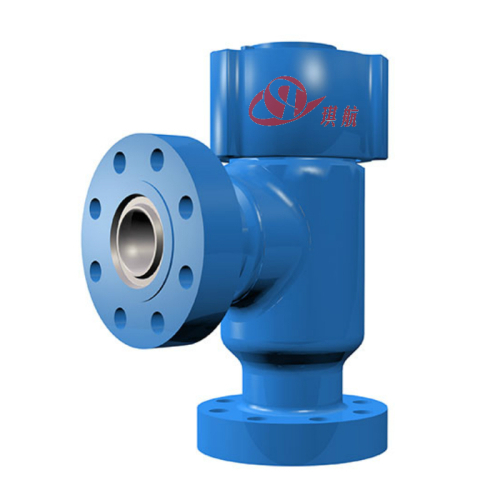 Compared to adjustable choke valves, which enable the fluid flow and pressure parameters to be changed to suit process or production requirements, positive choke valves don't provide this flexibility, but they are more resistant to erosion under prolonged operation or production of abrasive fluids. 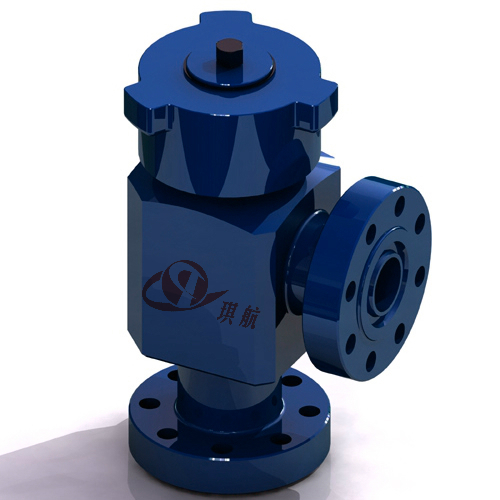 Qihang's positive choke valve is a redesign and upgrade of Cameron H2 series positive choke. 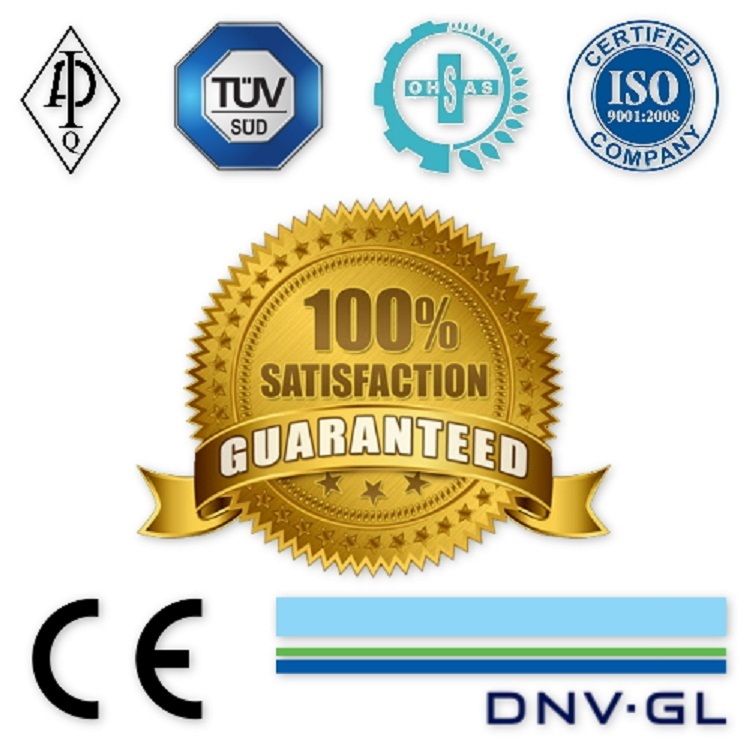 Our positive chokes are fully designed, manufactured, and tested in accordance with API 6A, API 16C, and NACE-MR0175 standards. 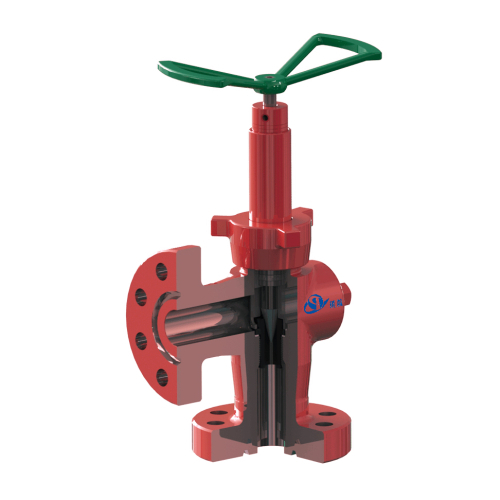 Available in bore sizes from 1-13/16" to 4-1/16" and rated working pressure up to 15000PSI. 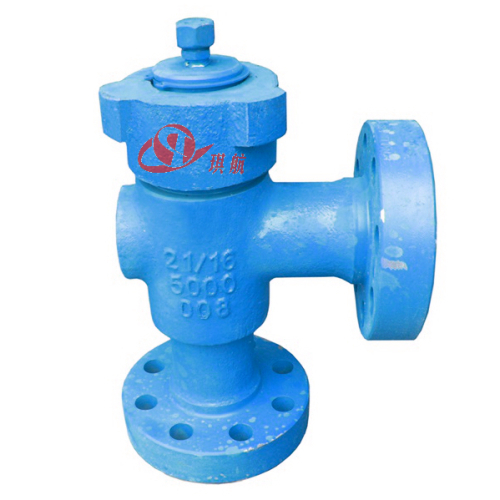 The standard material for our positive choke valves is AISI 4130 alloy steel, other material and specifications are available upon request. 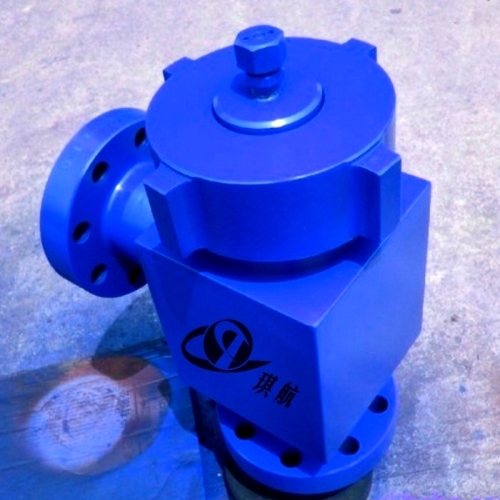 Nominal Bore Size: 1-13/16", 2-1/16", 2-9/16", 3-1/16", 3-1/8", 4-1/16"
Carbide alloy is embedded into valve seat. Internal parts can be easily disassembled and replaced. Field convertible from positive to adjustable by changing out the bonnet assembly or cap assembly. Removable choke beans are same as Cameron H2 Big John. 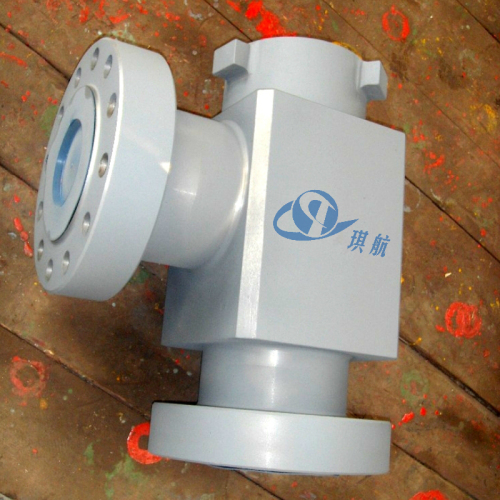 Qihang produces High Quality H2 Positive Choke Valve at Truly Competitive Prices.